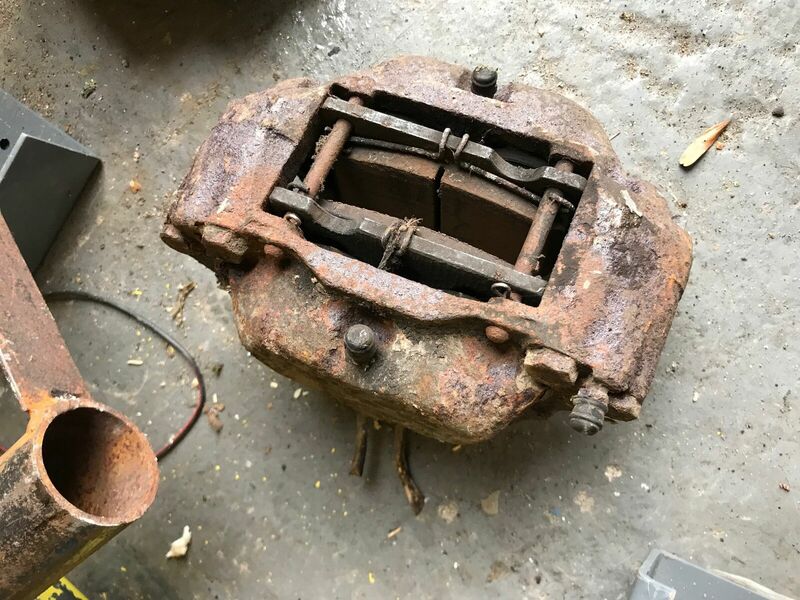 A little Simple Green and some new brake pads and you’ll be ready to reinstall them? Plan is to clean them up , get the pistons out , strip them down , clean them up , drill some holes , paint them ! I have a old hub , so can trial fit them , sort some back calipers out ! Perhaps it’s just the angle of the photo, but that looks like a caliper for vented discs. How wide is the gap? Unless the parking brake mechanism mountings are hidden in that pic, you won’t be fitting it to the rear. 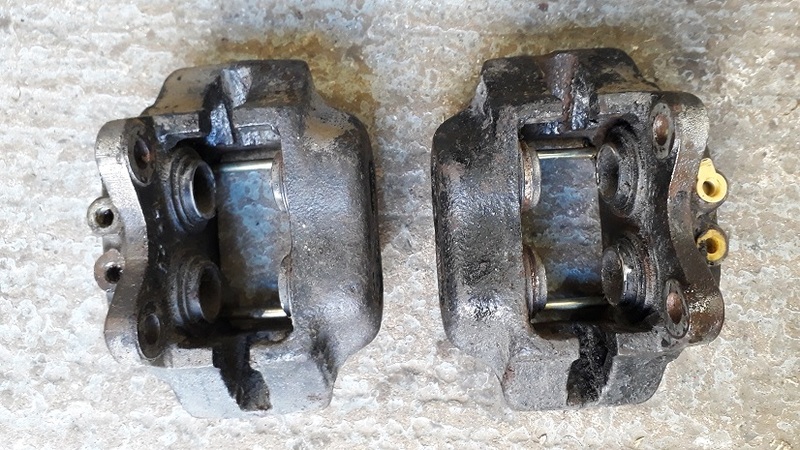 I did ask the question before he took them off the car , he said solid disc , it is a front caliper , I did say sort some back calipers out , ie , use front pistons , or xjs or series 3 xj6 ! S@*T , your right Andrew , they are for vented discs , just text the guy , he is giving me a full refund , they was only £30 , too good to be true , unless I can fit the vented discs to ? You can either fit vented disks, or if they are the early calipers you can split them, remove the spacers, fit new square o-rings and shorter bolts. Then you can sell the spacers to someone wanting to upgrade to vented. I guess the vented disks are not just a bolt on job ? I’m not sure about your car. I think your uprights have a smaller lug spacing for the Dunlop caliper mounts. I looked at it for my S-Type, iirc it was a straightforward swap of the discs to the XJ vented. 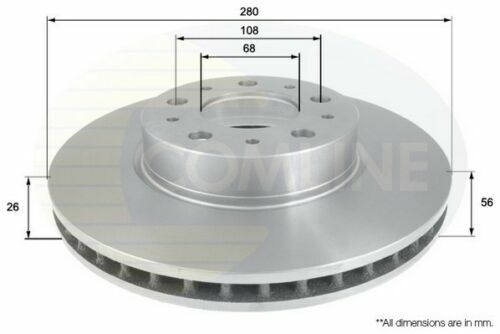 EDIT: The Brembo online catalog lets you search for discs by dimension, so it should be easy to check if you can get vented discs which will fit your hub. Well they are free now , he just refunded me the full amount ! 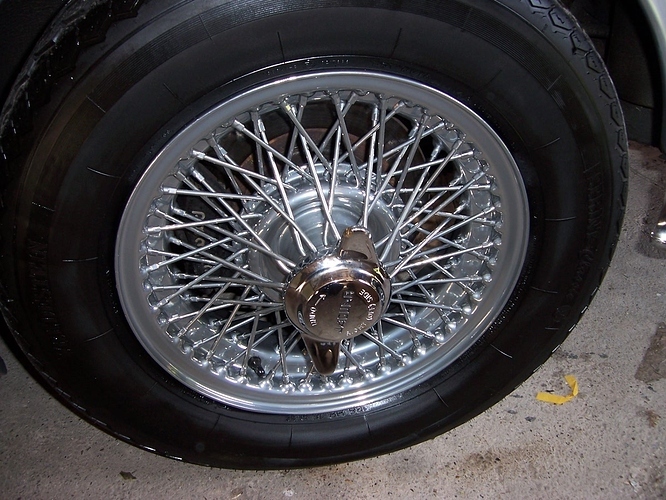 I will have to take some sizes off the jag disc , e bay is a good place to look for discs ! You are all mechanically / technically well beyond me, but I fitted Wilwood 4 pot to the front on standard discs courtesy of a rather lovely bracket supplied by Team CJ. Sold the Vented calipers , lower price set of solids turned up , winter job now !